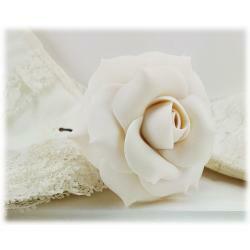 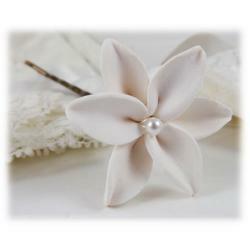 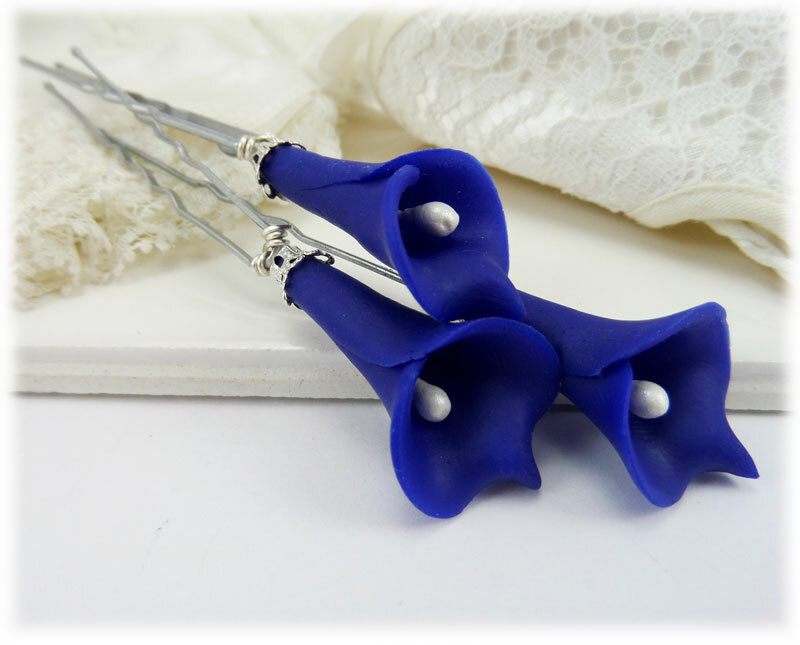 Hand sculpted blue Calla lily hair pin with faux white pearl in the center. 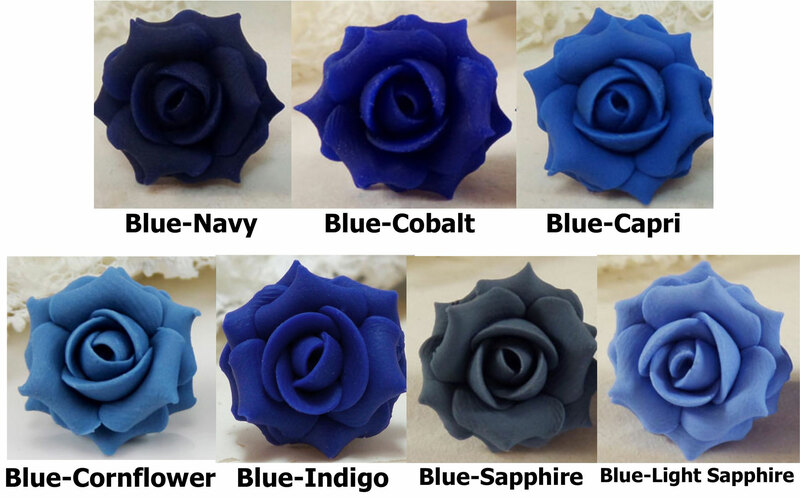 Many blue shades include cornflower blue, Capri, cobalt, sapphire and more. 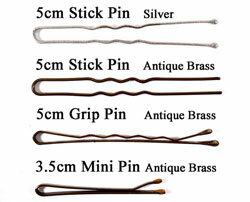 Secured to a hair pin.